Chainsaws are essential to those living in rural areas, as woodcutters need to collect firewood for their furnaces during the winter. Meanwhile, those working in the logging industries use chainsaws to cut down large trees that will be used for timber. Timber is used as a material for building and creating windows, power poles, furniture, flooring and many more important items. For people working in the landscaping industry, or even for people who simply enjoy the hobby of landscaping and gardening, chainsaws are also a big help in maintaining yards, lawns, and gardens. Another good use of chainsaws? Cleaning up roads after big storms hit. 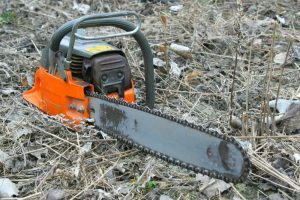 There are basically two types of chainsaws—the gas-powered chainsaw, which runs on oil and gasoline, and the electric chainsaw, which runs either via a cord plugged into a power outlet or a battery attached to the motor. There is much debate about which chainsaw is best. 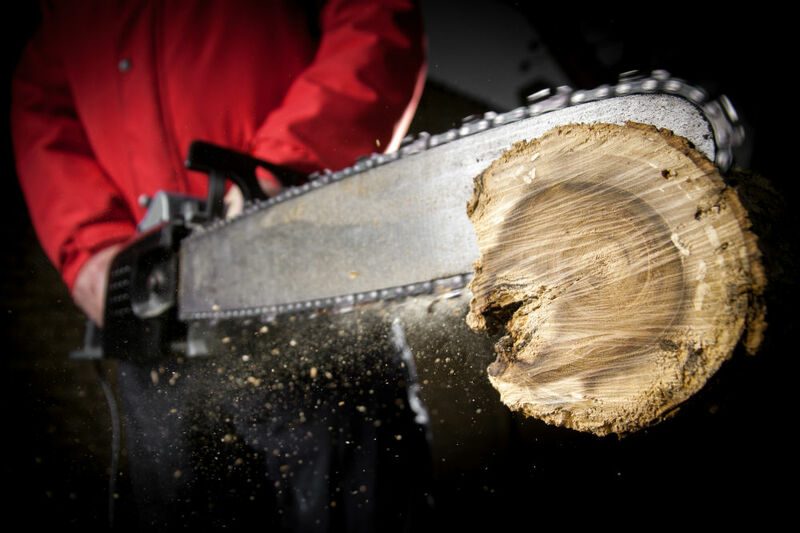 The gas-powered chainsaw is arguably the woodcutter’s best friend. It’s proven time and time again to be a powerful and effective tool when working with lumber. But for the untrained, the hobbyist, and the simple gardener, the gas-powered chainsaw may be too much to handle. It’s heavy, requires a considerable amount of maintenance, and is quite noisy. This is where the electric chainsaw comes in. For the untrained, the electric chainsaw is a great way to start, as its light body makes it easier to handle than a gas-powered one. For the hobbyist, the electric chainsaw has finesse and control that a gas-powered one doesn’t – this is thanks to technology that allows it to shake less than its older counterpart. 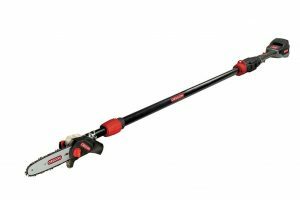 And for the simple gardener, the electric chainsaw provides comfort and convenience with its minimal noise emissions, easy charging, and relatively low maintenance make. But what makes a good electric chainsaw? GreenWorks’ Cordless Chainsaw sets the bar pretty high. It’s got a ton of great components and features that don’t just blow gas-powered chainsaws out of the water but challenge other electric chainsaws to step up their game. It’s a pretty impressive machine, and it’s exciting to see more products like this turn up in the market. 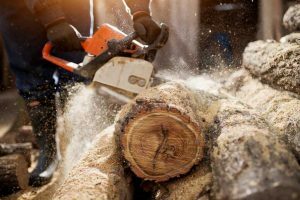 We take an extensive look at this particular chainsaw’s features and create a detailed analysis of its pros and cons, in order to help you decide whether this is a chainsaw that is fit for you and your lifestyle. Lithium-Ion technology, which enables 30% more torque and 70% less vibration than the usual gas chainsaw. More torque, less vibration – less vibration on your electric chainsaw means you have more stability to create detailed pieces that require a delicate touch. Electric motor – Having an electric motor in place of a gas-powered engine gives you a machine that requires less maintenance, and a quick and easy start. Gone are the days of struggling to start a chainsaw with multiple pulls. Brushless motor – There are many upsides to a brushless motor: they’re more efficient, as they utilize a “smart” technology, there are fewer chances of sparking, and they cool quickly compared to brushed motors. 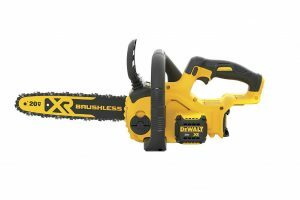 Lightweight body – Weighing in at only 11.6 pounds, it is a relatively lighter machine compared to other electric chainsaws and gas-powered chainsaws out there. 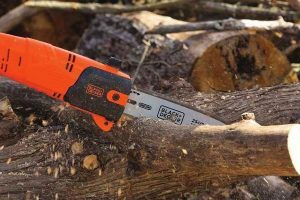 Faster charging – Offering either 60 minutes (using 2AH batteries) or 120 minutes (using 4AH batteries) charging time, you’ll have your chainsaw up and running by the time you’re done preparing to head out. Cordless – Battery-powered chainsaws give its users freedom to move around venture farther away than previous iterations of the electric chainsaws fitted with cords. GMAX battery – This electric chainsaw’s battery is quite the versatile one. It fits into other GreenWorks tools and devices that are also 40V. This gives you access to GreenWorks’ leaf blowers, lawn mowers, and other such gardening tools. Safety – With a low kickback chain and chain break, safety is not an issue. Battery not included – Unfortunately, the battery for the GreenWorks chainsaw is sold separately. 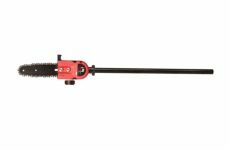 Lightweight – as an electric chainsaw, this product is still considered a lightweight compared to the more industrial gas-powered chainsaw. This limits the GreenWorks in some ways, to less intensive woodcutting work. 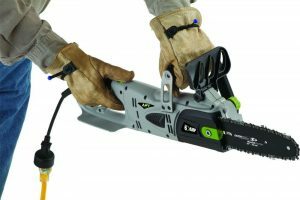 The GreenWorks cordless chainsaw’s electric motor, equipped with a lithium-ion technology, is what makes this product stand out from its competitors, and even from the often more powerful and preferred gas-powered chainsaw. It packs a punch while still minimizing vibration to almost 70%, letting users handle the chainsaw with ease and comfort. Meanwhile, the chain break and low kickback chain let you rest easy knowing that the manufacturers put safety at the forefront of their product. 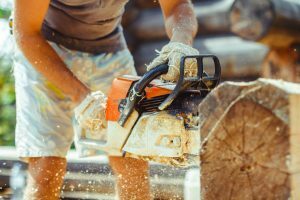 Knowing the difference between the two types of chainsaws—gas-powered and electric—is important in aiding your decision to purchase one. You have to know what your needs are, what you can afford, and what you are willing to give up, in terms of power, accessibility, and comfort. 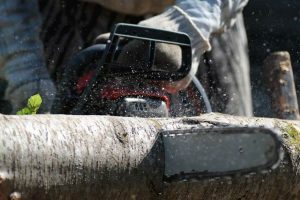 Gas-powered chainsaws are still the ideal weapon for industrial work—they are heavy-duty, can withstand tough conditions, and will keep going on as long as you have the fuel. But for hobbyists and beginners, electric chainsaws are a great alternative—quieter, easier to handle, and require less attention with regards to maintenance, cleaning, and repairs. 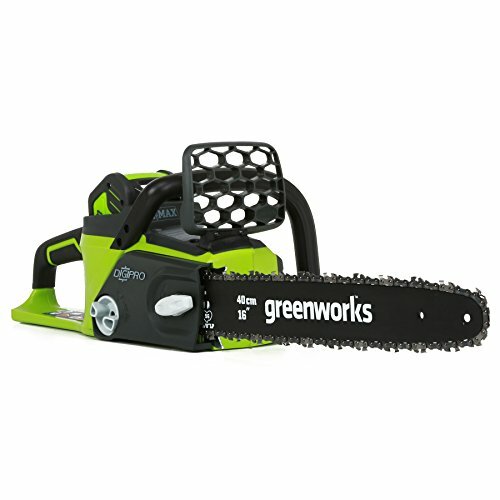 As an electric chainsaw, the GreenWorks is a wonderful choice because it tries to bridge the two worlds of gas-powered and electric. Though it’s quiet and promises minimal vibrations, it still is capable of heavier types of work outside of simple gardening. The battery system solves the ever-present problem of lasting long enough outdoors to get the job done. It’s compatible with a wide range of other GreenWorks products, thus allowing you to gather around your other GMAX batteries should you need reinforcements. Whether you’re thinking about going into woodworking hobbies, trying your hand at the woodcutting profession, or doing a little gardening and landscaping in your own backyard, the GreenWorks 0322 G-MAX 40V 16-Inch Cordless Chainsaw is an ideal tool to have in your arsenal.